Customer trust is the cornerstone of a successful business. It will be incredibly difficult to reach a sustainable volume of sales or form a loyal customer following without it. And yet, many businesses simply assume that customers will trust them from the start, and very few put much effort into building confidence with consumers. The truth is that customers tend to be skeptical about businesses that they are unfamiliar with. According to the Edelman Trust Barometer, consumer trust in business has remained stagnant over the past few years – with 48% of the general public reporting they are generally distrustful towards branded messaging. 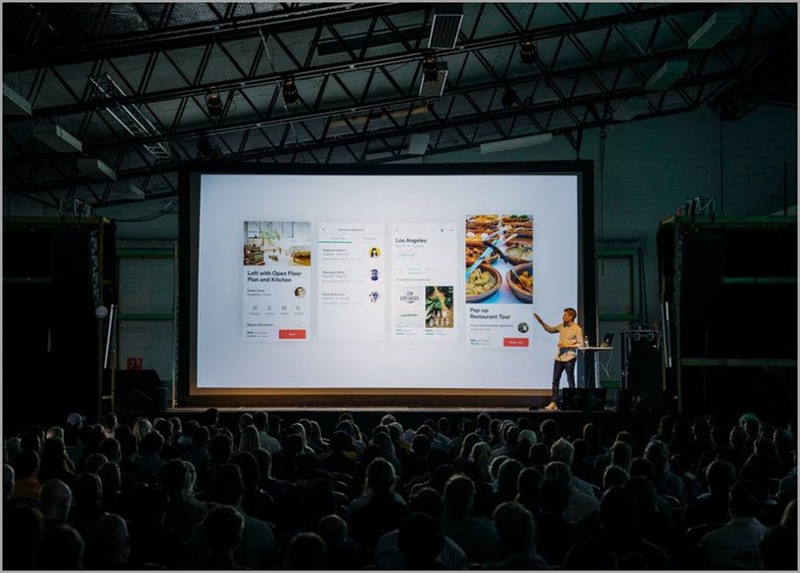 In an age full of fake news and biased media reporting, building trust with your audience is even more essential for businesses. But convincing a new customer to trust your brand enough to share their hard-earned money and sensitive financial information can be tricky. Let’s discuss some of the best strategies and approaches to build meaningful brand trust with customers that will lead to higher sales and greater loyalty. Our natural instinct is to run and hide from criticism, especially when it comes in the form of negative business reviews. Unfortunately, some companies do all they can to suppress bad or less-than-perfect feedback out of the fear that it will send customers running. And while an overabundance of bad reviews can certainly hurt your brand’s reputation, a few here and there is not going to kill your sales. In fact, it can actually make your business appear more trustworthy. Consumers are actually quite skeptical when they see that a business only has positive reviews and a perfect 5-star rating. It can signal the reviews are potentially fake or that the business is suppressing or even deleting negative feedback to create a false perception of their brand. Obviously, this kills trust with customers. While your goal should certainly be to gather positive customer reviews, there is no reason to shy away from the bad ones. For example, Trustpilot reviews on Capterra are a collection of good and bad reviews. Showing customers that your business displays every single review (not just the good ones) makes your brand appear more authentic. Furthermore, by publicly responding to poor feedback, you are showing other customers that your brand cares about the customer experience. This makes people feel like they can trust your brand, and in turn, are more confident in their purchase decisions. Inconsistent branding causes confusion and skepticism, so sticking to a clear overall message builds recognition, which leads to higher trust. In fact, a study from Lucidpress found that when a business’s marketing had conflicting or inconsistent messages, customers were less likely to trust the brand. 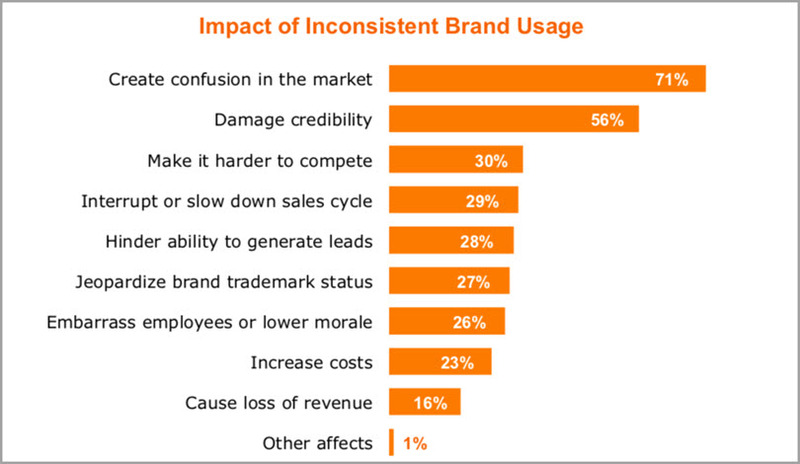 This can even negatively impact sales due to damaged credibility. Be sure that you are correctly navigating through marketing trends and only applying the strategies that match up to your brand’s overall personality and persona. This can be done by ensuring that your brand is clearly defined and understood, especially by your marketing team, so that every content piece and campaign post makes sense with the brand’s voice. Great content is one way to build trust, but only if it is trustworthy in and of itself. Many brands find that posting informational content like how-to guides or suggestion lists resonate well with their audiences. However, in order to curate customer confidence, be sure that you have the research and proof to back up any major claims that you make. The best approach here is to either conduct research on your own or link to reputable sites, studies, reports, or opinion pieces that are written by trusted experts in the field. You will also want to guarantee that your content marketing team is up to date with the latest reports and information. Encourage them to listen to industry podcasts or attend business conferences and gatherings so that the information they focus their content on is fresh and accurate. When customers are unable to get a hold of someone in the business, it can cause them to question its credibility. Even if someone does not need to reach out to customer assistance, it can still provide peace of mind for an uneasy consumer that help is only a few clicks away. Be sure to clearly list contact information on every single page of your website for easy access to customer service options. You may also want to consider investing in a live chat option or a customer service chatbot so people can receive assistance 24/7. Salesforce’s recent study around consumer opinions on chatbots found that the majority were quite comfortable using this option because it could offer them a quick solution, resolve an issue, and provide detailed information without having to call into customer service. Fandango is a great example of how a chatbot can go beyond customer service. 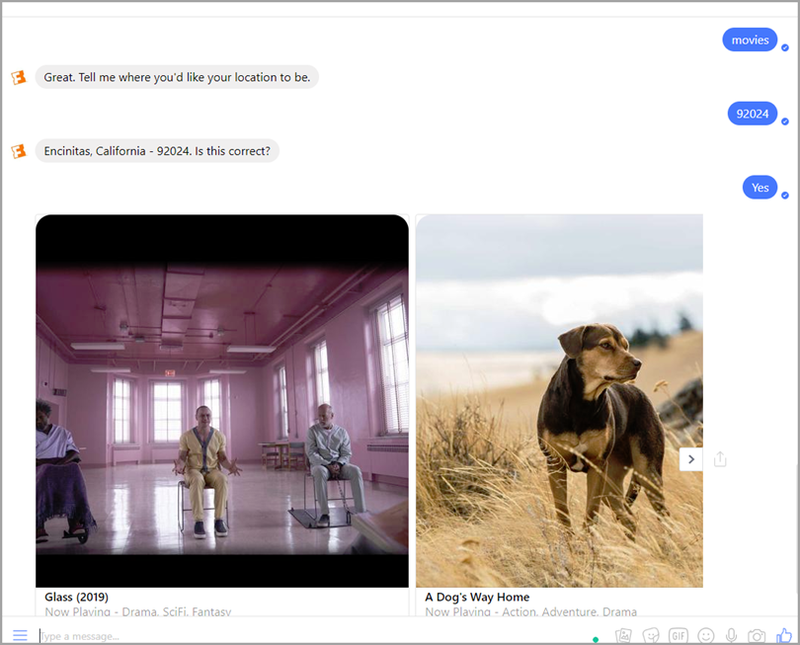 Using this automated feature, customers can find and book movie tickets in their area instantly without having to speak to a human. Incorporating this type of convenience and access to immediate assistance means that customers can get all of the help and answers they need to feel confident in making a purchase. You can never really convince someone to trust you – trust is earned and built through experiences and interactions. It is up to your business team to cultivate a sense of trust and consumer confidence in every single aspect of your company. By embracing transparency in customer reviews, following a consistent brand message, creating valuable and trustworthy content, and offering assistance at a moment’s notice, your brand can offer customers the experiences that build the trust that leads to conversions and loyalty.